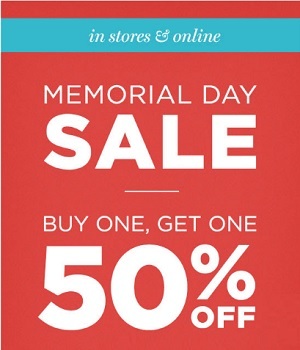 Memorial Day Sale 2016 is on at PacSun, so take an advantage of this amazing chance. Buy one item and get the second one with 50% discount! Plus, when you shop online you can receive a free shipping on orders of $50 or more. Source of the information is PacSun. For more infromation visit your nearest PacSun store or official website. Offer is time limited.